At ‘brownslawn’ we offer – Lawn Mowing Laverton North, Ride on Mowing Laverton North and Complete Grounds Maintenance Services in Laverton North and surrounding areas. Lawn Care in Laverton North. Grounds Maintenance in Laverton North. Ride on Mowing Laverton North. Equipped to cover large areas! NOW or email mike@brownslawn.com.au for a free quotation TODAY on ANY Lawn Mowing, Lawn Care or Grounds Maintenance Services you may require. Fully Insured 2 million Public Liability. 30 years experience in Grounds Maintenance Industry. Work Safe Assured and Work Cover Insured. Same day response, all work guaranteed and insured! “So if you have acreage mowing required, call Michael! Or slashing of your vacant block? Call Michael! Do you require any garden maintenance including weeding? Give Michael a call for a free quotation!” Browns Lawn, Garden and Grounds Maintenance has been in the Grounds Maintenance Industry for nearly thirty years now. ‘brownslawn’ have the best and most reliable equipment which means a professional finish and dependable service every time. We have a same day response policy where practicable and all our work is guaranteed and insured! Browns Lawn, Garden & Grounds Maintenance is fully equipped to cover large areas, providing prompt and reliable service a truly professional service. 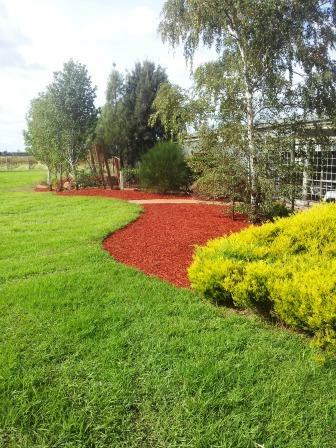 We provide Lawn Mowing Laverton North, Ride on Mowing, Spraying weeds in your garden beds and fence lines. We also trim your edges to perfection! Schools are our specialty. We are seeking “Regular Maintenance Contracts”. Other services offered are fertilization application for a lush, healthy lawn. So if you have acreage mowing, required or slashing of your vacant block or require any garden maintenance at all, give Michael a call for a free quotation and same day service.